Tower acts as servicer to the various New York City Tax Lien Trusts (NYCTL Trusts) to service a portion of the portfolio of tax liens the Trusts have purchased from the City of New York and the New York City Water Board. If you have received a notification letter from us concerning the sale of your outstanding tax lien to the Trust please contact a servicing representative toll free at (800) 970-8454 to discuss your payment options. You can also email your questions to nyctlservicing@tcmfund.com. In addition to contacting us directly by telephone, you may learn more about the tax lien program, Tower’s relationship to the Trust and your repayment options and responsibilities by reviewing the answers to frequently asked questions below. If you have any questions after reviewing this FAQ please call Tower’s servicing representatives toll free Monday through Friday from 9:00am – 5:00pm at (800) 970-8454. Why is Tower Capital servicing my delinquent taxes? 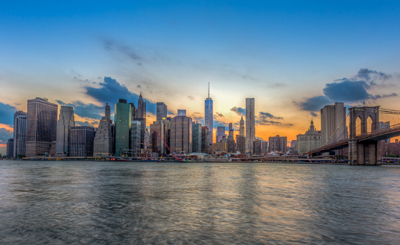 The City of New York and the City’s Water Board has sold its tax liens to a New York City Tax Lien Trust (hereinafter referred to as “NYCTL”). The NYCTL is a special trust formed by New York City, with trustees appointed by the City. The NYCTL engaged Tower to service these tax liens. These servicing activities will include the managing of foreclosures on those properties where outstanding tax liens remain unsatisfied. The City did not sell your property but sold the tax lien on your property. How do I know if my tax lien has been sold to the NYCTL and is being serviced by Tower? A Notice of a tax lien sale was published twice not less than 60 days prior to the date of the sale and not less than 10 days prior to the date of the sale. At that time, a list of tax liens to be sold was made available for public inspection in the applicable Office of the City Register in the Bronx, Queens, Brooklyn and Manhattan and in the Office of the County Clerk in Staten Island. The New York City Department of Finance sent by first class mail a notice of sale to each registered owner of the property or other registered interested party not less than 30 days prior to the date of the sale. The Department of Finance also sent by first class mail a notice of the sale to each registered property owner within 90 days of the delivery of the tax lien certificate. In addition, Tower periodically mails delinquency letters to property owners and interested parties using mailing addresses on record with the Department of Finance. Furthermore, you may look up your property tax records on the City’s Department of Finance website. There will be an indication on your record that the property is in Lien Sold Status. If you find that your tax lien is not being serviced by Tower, you may wish to contact the NYCTL’s other servicer, MTAG Services at (800) 750-9210. I received a notice in the mail concerning a property I no longer have an interest in, what do I do? As a requirement of our Agreement with the NYCTL Trusts, Tower sends notices to all current or previous Interested Parties obtained from the Department of Finance. This could include current or previous residents, owners, heirs or relatives. If you do not have any interest in the property for which you received a notice, you may disregard the notice. How do I pay my delinquent real estate tax liens? If you’ve received a letter from Tower only the amount of the original tax lien amount is shown on the letter. Please note, however, that interest on New York City tax liens compounds daily. To obtain a current total amount due, please contact a Tower servicing representative at 800-970-8454 who will provide you with the appropriate payoff quote including payee information and mailing address. If you would like to wire funds to satisfy your outstanding obligation please contact us for those wiring instructions. Be sure to completely fill out your address and contact information on the payoff quote that was sent to you so that a release document can be sent to you. Can I also pay my outstanding current taxes to Tower? Tower does not collect current real estate taxes for New York City. For information on your current taxes please contact the New York City Department of Finance. The following website link will take you directly to the Property section of the Department of Finance website. Can I enter into an installment payment arrangement to satisfy my tax lien? Yes, under certain circumstances and only if you have signed an approved forbearance agreement. A copy of an agreement will be provided to you along with a Truth in Lending statement if you request one. If you wish to discuss entering into such a plan, including the size of the down payment and term, call (800) 970-8454 toll free to speak with a Tower servicing representative. Please be aware that before you may enter into an installment payment agreement evidence must be provided that your current taxes have been paid in full. I have filed a bankruptcy petition and received a notice from Tower or the NYCTL. What do I do? Please call us toll free at (800) 970-8454 and speak with a servicing representative who will update our records. When you contact us it would be helpful if you have the date of the bankruptcy filing and the case number available as well as the name and telephone number of the attorney who represents you. Can the NYCTL foreclose on my property? A foreclosure action may be initiated six months and thirty days after the sale of the tax lien to the NYCTL, unless: a.) a payment of the full amount of the lien including applicable interest and charges is made or b.) a payment of six months of interest is made or c.) an installment agreement has been entered into. If the six months’ interest payment has been made then the taxpayer is provided with an additional six months period in which to make payment in full. At the end of this time period a foreclosure action can be commenced unless Tower receives a full payment or forbearance agreement. The culmination of the foreclosure action is the sale of your real estate unless the lien (including all appropriate interest and enforcement costs) is satisfied in full prior to the auction date. How do I get a release notice showing that I have paid my tax lien in full? Once your payment in full has been received by our lock box facility and clears, a release notice will be sent by the Trustee, BNY Mellon. This release notice must be brought to the New York City’s Register’s office or in Staten Island to the Office of the County Clerk. The appropriate office will then assist you with filing a Tax Lien Discharge of this lien so that this lien no longer appears as “open” against your property. I am an investor; can I buy an individual tax lien or property from the NYCTL? Tower does not assign NYCTL tax liens to investors. If you have an interest in purchasing real estate from the NYCTL, you may check our Sheriff Sale Auction web site http://www.tcmfc.com/nyctl-referee-sales​ for a listing of upcoming tax sales which will be held from time to time. Also the NYCTL’s co-servicer, MTAG Services, may list upcoming auctions as well. Please contact them at (800) 750-9210 or go to their web site at www.mtagservices.com. Are there other parties in the City I can consult with concerning questions or issues relating to my taxes or water and sewer charges?